Global Call Forwarding provides call forwarding as the core service to make users more reachable by phone in over 140 countries. Thousands of international businesses and individual subscribers use call forwarding services to establish an international presence. The service works by forwarding calls internationally from a virtual number to any destination. Subscribers can get call forwarding numbers in virtually any market. The numbers can be dialed for free or at the local calling cost, and the confusing international calling process can be eliminated. Customers are more likely to call a free phone number, and they will appreciate how easy it is to reach your business. The business subscriber, meanwhile, can forward the incoming calls anywhere. The forward-to destination can be a mobile phone, landline, VoIP, or even virtual call centers. The call forwarding possibilities are limitless. Call forwarding has come a long way since the service was first introduced. What started as a simple tool of convenience has become an advanced, cloud-based communications tool that is used by thousands of successful multinational businesses to offer top-level customer support and accessibility. The capabilities of cloud communications have evolved along with technology. Every aspect of business continuously evolves, but call forwarding has seen tremendous growth and innovation. The telecom industry has been a major part of that expansion. Customers today expect more in terms of customer support. Competition in every industry will ensure that customers are satisfied. Constant accessibility has become the standard, and call forwarding enables businesses to answer every call anywhere. The evolution of call forwarding has taken cloud communications to the next level. The service can be combined with other features to empower the businesses that use it. Companies in just about every industry can benefit from call forwarding; although, businesses are generally interested in a few core benefits. A major benefit of call forwarding is improved customer service. Your global clients will constantly have access to your business, no matter where it is physically located. This enables you to offer your products and services on a global scale. Having the ability to provide around the clock service creates a sense of security for your clients. This gesture will convince new clients to make commitments while ensuring current clients remain loyal. Customers appreciate the ease of dialing a local or toll free number. Increasing customer service directly correlates to an increase in revenue. And since call forwarding reduces cost, the ROI of your business as a whole will improve. Without call forwarding it would be virtually impossible to provide phone support to your clients around the globe. The costs and logistics associated with having international offices would be out of reach for most businesses. Only the largest companies can afford to have physical locations within every country they operate in. With the modern day version of call forwarding, that’s no longer necessary. You can establish a virtual presence anywhere. Global Call Forwarding offers a suite of free advanced features with the call forwarding service to benefit business subscribers. You can get call forwarding numbers in over 140 countries while answering the calls anywhere. Meanwhile, the advanced service features can be managed from an online control panel. Our service features were designed to enable businesses to manage incoming calls more effectively. The service can be used, simply to answer calls, or it can be used on the scale of virtual call centers. Call recording (optional), interactive voice response (IVR) and time-of-day routing are some of the top service features we offer. 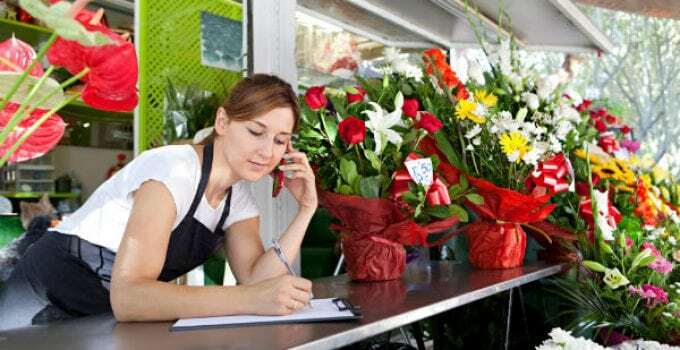 Call forwarding at this level creates a professional first impression for any business. With the amount of features and opportunities, it’s a no-brainer to use a call forwarding service. When you take into account the low cost of implementation and the many benefits that come with them, the decision becomes easier. In addition to the above features, it’s good to know that service is easy to set up. The process of setting up call forwarding is simple. The only decision that you need to make is choosing the best provider. Call forwarding, as we provide it, requires no extra equipment and staffing costs. No physical offices, no communication equipment and no team of operators. You simply choose a new phone number and input your destination number. No more missed calls and no missed opportunities whether business or personal. Our customer support team is available 24/7 to help you configure the advanced features. Our network was built with the purpose of providing a service that you can depend on. We recognize that call forwarding has evolved and that businesses depend on it to function on an enterprise level. We take the trust of our clients seriously and do everything within our power to provide the best features, service and price in the industry. You can rest assured that with our services you will be a part of a vast network of organizations, public and private, which depend on us for their communications. Contact us directly to find out more about call forwarding.